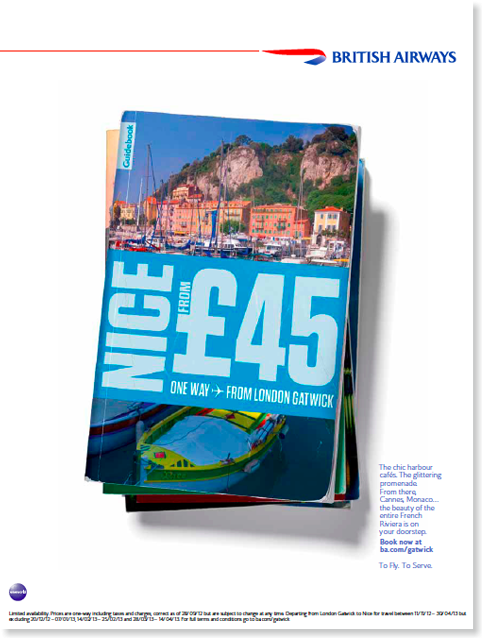 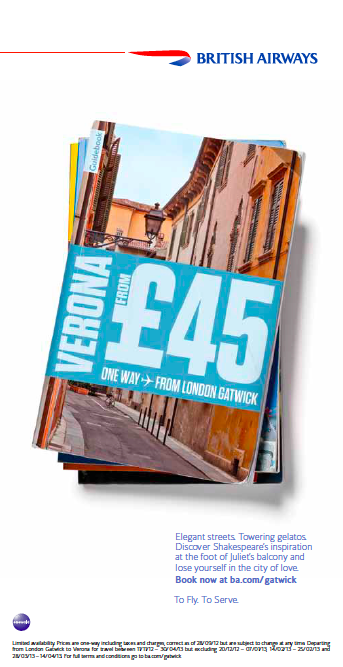 In order to tempt customers back from flying Easyjet out of Gatwick, BA wanted to go on the offensive with a campaign that explained their 'frills' flights to destinations across Europe were available from £45 one-way. 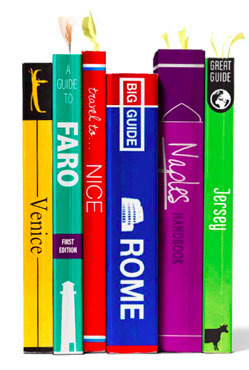 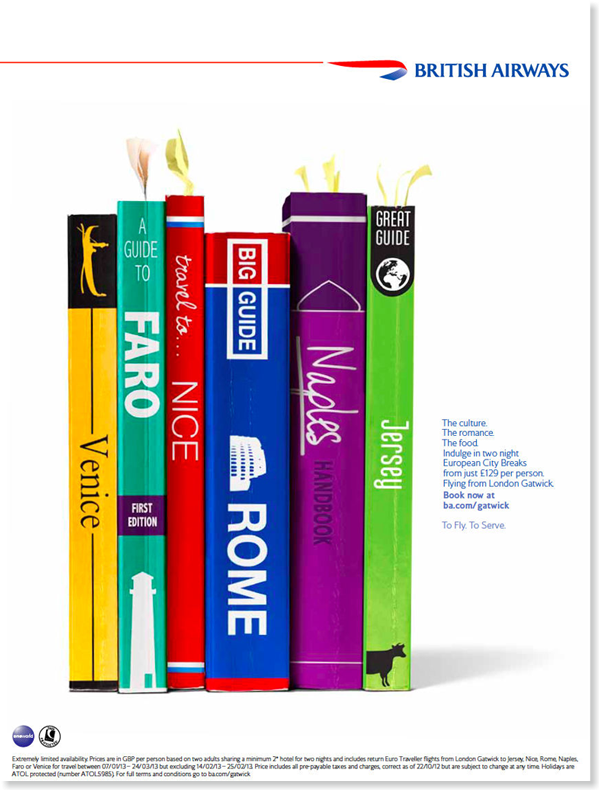 Working with the BBH teams in MK and London, I wrote a series of press, billboard and radio commercials based around the 'guidebook' concept; using engaging, elegant language to paint a picture of the destination. 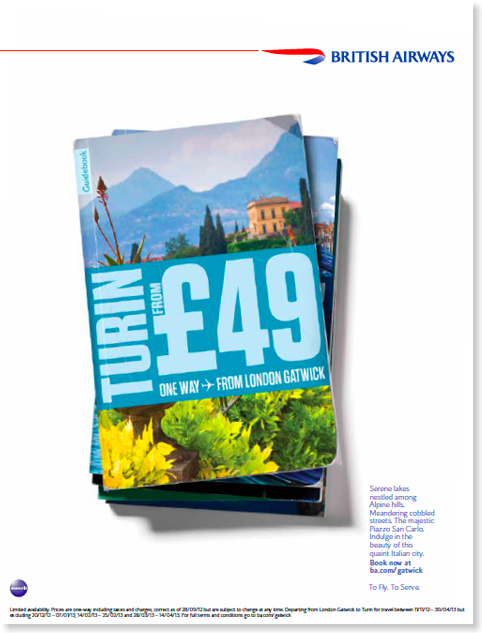 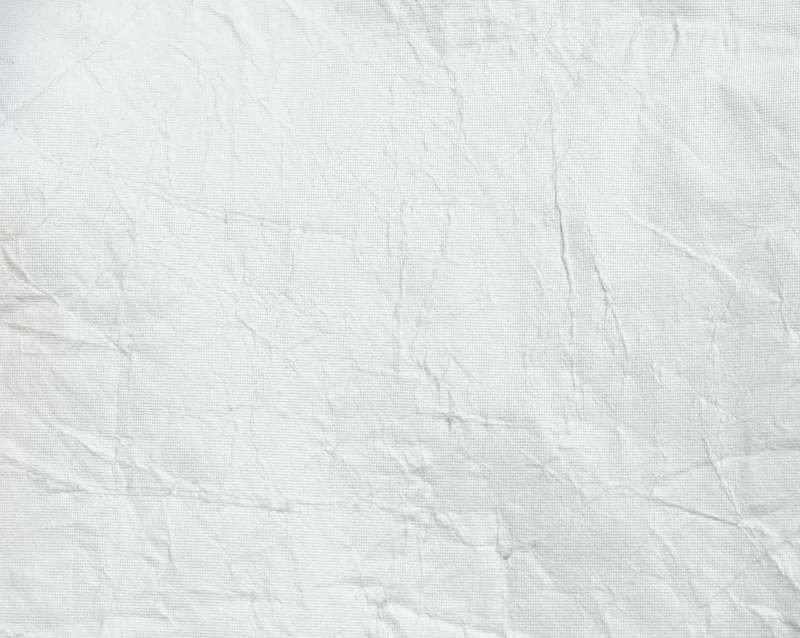 This was complemented by clear visuals conveying that flights were available at a surprisingly affordable price.